Product prices and availability are accurate as of 2019-03-25 10:28:09 EDT and are subject to change. Any price and availability information displayed on http://www.amazon.com/ at the time of purchase will apply to the purchase of this product. "Triple Action Formula (1Remove / Kill Bacteria 2 Remove Malodor 3 Mask Malodor ) with Active Charcoal." 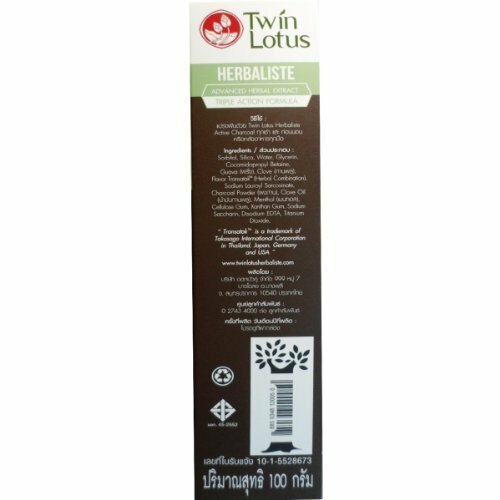 TWIN LOTUS HERBALISTE innovation intended of study. 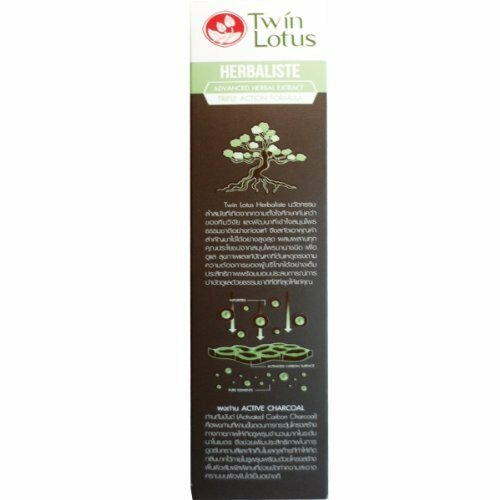 Research and development team are herbal and natural expert.The extract value. 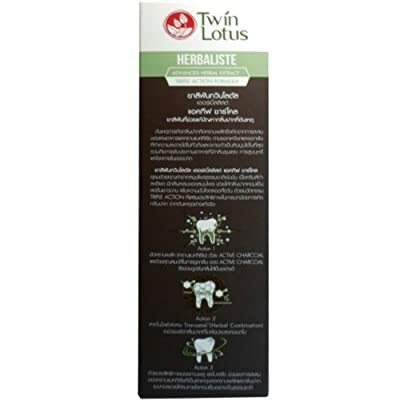 Equally important is the combination of all the benefits of herbs for oral care and the problems caused. We create and produce healthy, concern-free, eco-friendly oral care products that really work (and that are as pure and clean herb and natural). Our products are also cruelty-free. We display all of the following badges with pride on all of our packaging and innovation. So you can be sure that no product you buy is kinder to your oral, and to the earth. "Transatak is a treadmark of Takasago International Corporation in Thailand Japam Germany and USA"
New Active Charcoal Toothpaste. Triple Action Formula (1.Remove / Kill Bacteria, 2. Remove Malodor,3. Mask Malodor ). Remove Bad Breath with ACTIVE CHARCOAL (Activated Carbon Charcoal) Advanced Herbal Extract. Product of Thailand (Ship from Thailand).